AmEnglish.com - Established in 1999, AmEnglish.com® provides products and services to improve communication skills for nonnative speakers of English. The Pronunciation in English, Writing in English, and Idioms in English programs from AmEnglish.com® have been reviewed and approved by ETS®, maker of the TOEFL® and TOEIC® tests. Corporate clients include companies like Kaiser Permanente Medical Group and IBM. Education customers include schools like Cal Poly Pomona, De Anza College, Iowa State University, and the Los Angeles Unified School District. Earn 25% commission on sales. Central College for Education - or CCFE for short is a leading online distance learning course provider. CCFE provides 19 different Access to Higher Education diplomas in Business management, health and social care and science among others. Our tailored Access to Higher Education Diplomas are ideal if you want to start a university course but have no formal qualifications. You can do all of your learning from home. Distance learning enables you to study for recognised qualifications in a structured, supported way without attending classes or college. Many universities will welcome you aboard to further your higher education on a degree course, after completing a relevant Access to Higher Education Diploma. And finally according to statistics, 93% of Higher Education diplomas were in employment or further study six months after they’ve completed the course. Why promote CCFE? £50 per sale if paid in full; £35 per sale if paid by instalment; Only the most popular courses listed; Regular updates of offers. The i-to-i Online TEFL course - trains over 5000 people worldwide to teach English as a foreign language. The course is taken by people from all over the world, all ages and sectors. Travel or education is largely their interest. The course appeals to people wishing to travel, work abroad or who are already travelling or working abroad. The course is taken completely online and customers can apply for the course quickly, simply and immediately online. Earn £19.50 ($29.50 USD) commission per sale. Learn Sign Language - Ok...so you have decided that you want to learn sign language but maybe are a little unsure of how easy it will be? You have possibly seen the interpreters on the TV signing away in the 'little corner' and think that all of the hand movements just tumble into one! Even if you've got NO experience, I can assure you that with these extensive BSL Video tutorials you can learn how to sign the alphabet and introduce yourself, be able to have a basic conversation using our friendly greetings, teach your child how to communicate with you even if they are only 6 months old, plus much much more. In fact this would cover what you would learn at college for the first year if you decided to enrol on one of their courses. At least this way you get to do it at home and can watch it over and over again so you don't forget......rather than waiting until the next week to ask your teacher!The Learn Sign Language Ltd Affiliate Programme provides an easy way to enhance your site or start your own affiliate business just by encouraging your friends and family to learn British Sign Language at home and start communicating fluently with their friends. Our affiliate program rewards you when someone uses your link, provided by us, to buy one of our unique home study DVD sets to Learn British Sign Language. As an affiliate, you will get a massive 25% commission on every order you refer to us. Also, you will find that if any visitors do not buy on their first visit to our site, if they come back the next week, month, year or EVEN years after you will STILL get paid! The Maths Factor - is a leading maths website where parents can buy a subscription to Carol Vorderman’s, confidence building, maths schools and revision clubs. There are fun video lessons with Carol and over 1,000 daily practice sessions and games with everything matched to the new National Curriculum. The Maths Factor was set up by Carol Vorderman in 2010. In 2013 it was acquired by Pearson, the world’s leading education company, and in October 2014 it was re-launched, ready for tablets and inline with the new National Curriculum. A dedicated team at Pearson work closely with Carol to run the site, to support customers and to keep expanding the range of content and games. The Maths Factor has become one of the UK’s leading maths websites for home use. Once subscribed, Carol Vorderman becomes your child's personal tutor teaching them on a one-to-one basis through online videos, fun tasks and tests. The structured system supports each child at a pace that is right for them and rewards them as they progress, constantly building their confidence as they go. Overall the online resources add up to hundreds of lessons and many hours of quality teaching. Earn 20% commission on all sales. Online Academies - is part of Stonebridge Associated Colleges Ltd, a leading online distance learning course provider. Online academies has a friendly layout and well-structured course syllabus. Our categories consist of beauty, animal care, teaching assistance, Counselling, Environment, Sports, accounting, business, health and therapies among other categories. There are two types of certifications, Endorsed and Certified, endorsed are the courses endorsed under the ABC Awards’ Quality Licence Scheme. Certified are accredited by Online Academies. Students can also download the certificate or have a hard copy posted (please note: you will also be given the opportunity to have a hard copy of the certificate printed off and posted out to you for a small additional charge). Why promote Online Academies? 50% commission for Certified courses. 40% commission for Endorsed courses. Huge discount will always be available up to 60% off. Exclusive coupons available. Oxford English Online Courses - Kaleidoscope Global is a collection of companies offering online courses and learning solutions. We've offer language courses, music lessons, personal, business and financial coaching courses and much more. Please check out links individually for the programs available. We offer up to 20% commission on all of our programs, each program has incentive based tiered pricing that rewards publishers on their performance. UK Open College - Become part of a growing and increasing market. The distance learning sector is booming and on the up. Our sales have increased year on year for the last 5 years and continue to grow, Grab an opportunity to become part of our ongoing success. 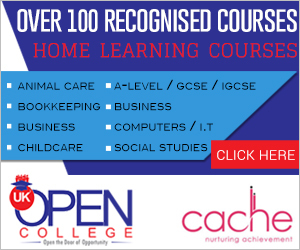 UK Open College, one of the UK's largest providers of on-line and distance learning courses. Specialising in the delivery of A Levels, Child care and business studies. Over 100 courses to choose from leading to fully recognised and accredited qualifications. Earn 7.5% commission on all confirmed sales. Virtual College - Established in 1995, Virtual College provide e-learning courses to individuals and businesses. Courses start at as little as £15 and we recently celebrated our two millionth learner. We currently register over 1,000 new learners every day so there are plenty of good opportunities for affiliates. Because the Virtual College website concentrates on selling training, your niche content site can benefit from over 20 years of e-learning experience to offer your visitors something new. We are a market leader in Food Hygiene Training and currently have over 250 courses in our catalogue across a range of sectors including Safeguarding, Food Hygiene, Healthcare, Lean Training and IT Skills, making us the perfect training partner for companies and bloggers that appeal to those areas. Our in house design team regularly create new adverts to help make your advertising successful and we work closely with our affiliates to make sure they have all of the resources they need. 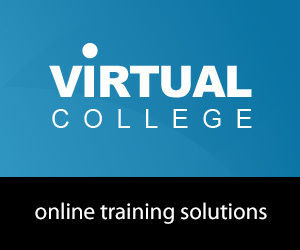 Virtual College offers affiliates 15% commission on all online course transactions. Wisdom The Course - Wisdom The Course: 'The Way of True Success' is a 20 Module Home Study Life Course that purchasers can study off-line, at their convenience, through a web browser. Standard IAB sized banners. Product is guaranteed and support for students is provided. Powered by Post Affiliate Pro 4. No minimum payment threshold, and a full two years tracking period. Earn £37.40 commission per sale (20%) and Worldwide audience, plus 5% 2nd Tier commissions.